This is the perfect pied-a-terre! Spacious & renovated w 2 good sized bedrooms, one w french doors to living space. 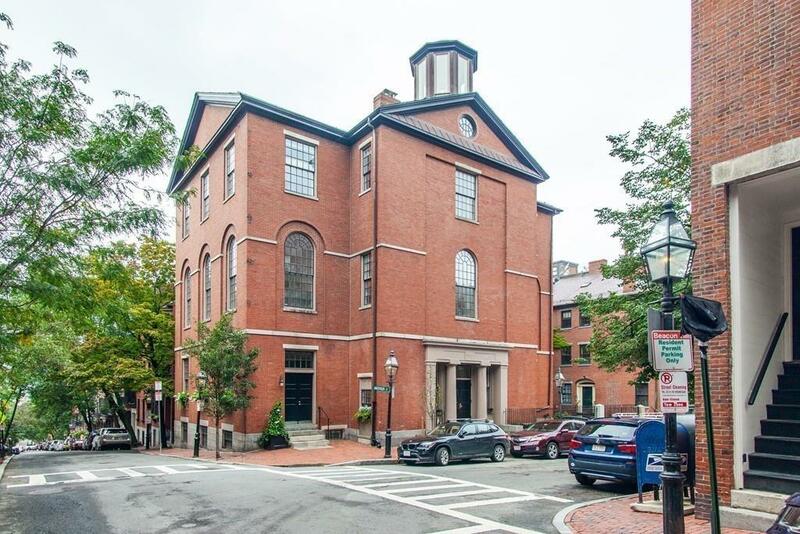 This home offers flexible living/dining spaces, renovated full bath & quintessential Beacon Hill feel including brick patio shared with 1 other unit. Smart, sleek renovated kitchen offers honed granite counters, breakfast bar/island, generous counter & cabinet space, built-in appliances including stainless steel fisher paykel refrigerator and gorgeous Bertazzoni electric stove. Laundry hook ups in unit! 65 Anderson exterior still reflects19th schoolhouse architecture. It operated as English High School then as grammar schools & is a stop on the Black Heritage trail. Converted to condos in 1984, these 10 condos are home to residents that value the IDEAL location just steps to Boston Common & Garden (frog pond, duck boats), MGH, coveted shops & restaurants on Charles & Cambridge Streets and multiple T stops. Professionally managed. OPEN HOUSE SAT 10/20 from 1-2:30pm.